Sacaton Red-on-buff jar from the Museum of Northern Arizona collections. 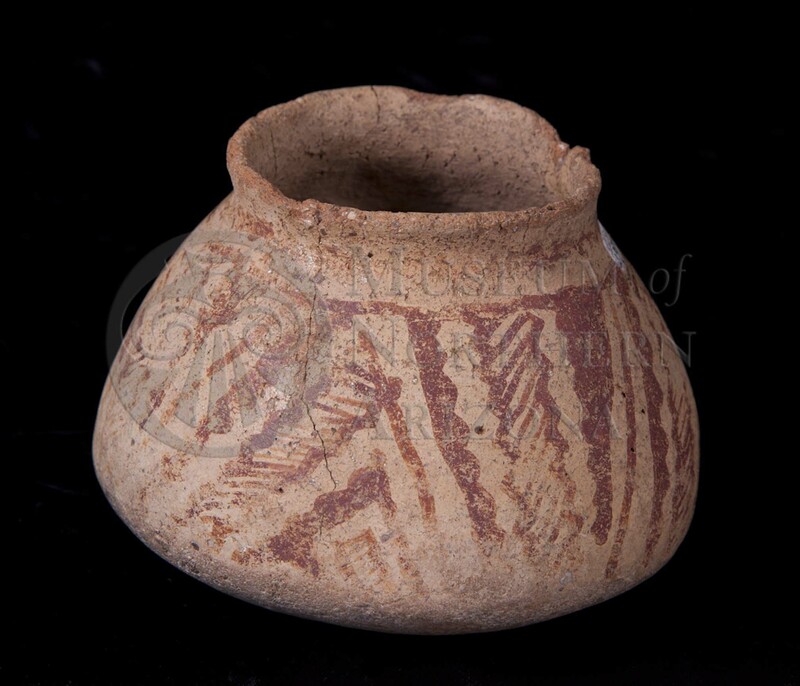 Click the image to open the Hohokam Buff Ware gallery. Hohokam Buff Ware was the primary decorated type made in the Salt and Gila river valleys of central and southern Arizona. 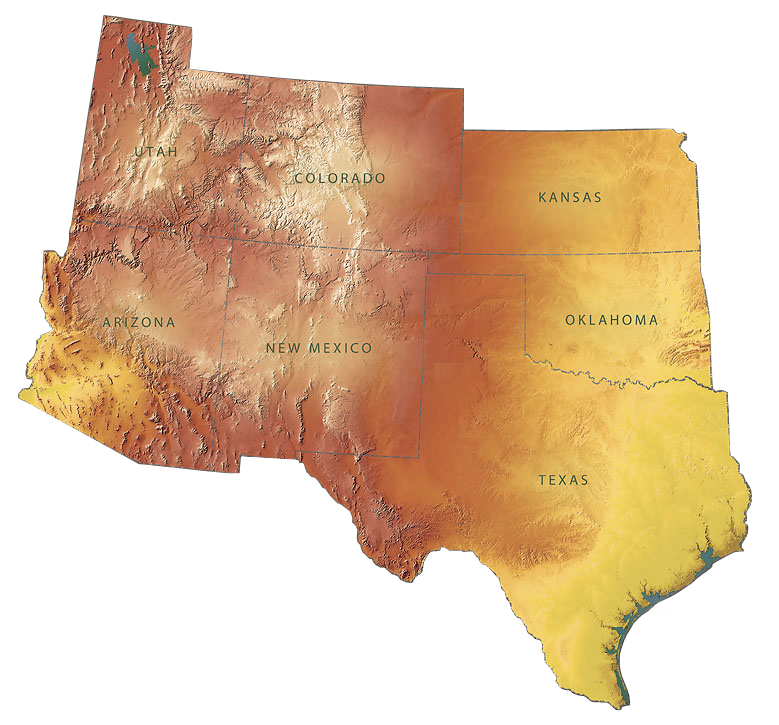 Although production centered in these areas, distribution of Hohokam Buff Ware reached west to the Gila Bend area, east to the San Francisco River, north to the Verde Valley, and south to the U.S.-Mexico border. Types include: Estrella Red-on-gray, Casa Grande Red-on-buff, Gila Butte Red-on-buff, Sacaton Red-on-buff, Santa Cruz Red-on-buff, Snaketown Red-on-buff, and Sweetwater Red-on-gray. Construction: By paddle and anvil. Firing: In a neutral to oxidizing atmosphere; fire clouds common. Core Color: Black, gray, buff, or brick-red. Temper: Coarse-grained mica schist, sand, and calcium carbonate nodules. Surface Finish: Smoothed and slipped with a buff wash or creamy slip (early types unslipped); wiped or lightly polished; mica often highly visible; porous if vegetative material was present in the clay; incised types smoothed on the interior only. Paste Color: Buff, pink, white, tan, light brown, gray brown, and gray. Forms: Bowls and jars with flaring rims, Gila-shouldered jars, ollas, plates, rectangular vessels, scoops, censors. Paint: Bright red, dull red, or purplish red. Pigments: Iron oxide mineral paint. Design: All types of lines, repeated elements in parallel bands or panels, interlocking rectangular or curved scrolls, some negative designs, banding, panels of straight lines, hatching, concentric circles, chevrons and triangles, trailing lines, and fringe. Incising: Bowl exteriors of earlier types; horizontal, patterned, or unpatterned. Other Names: Middle Gila Buff Ware. Comparisons: Estrella Red-on-gray is indistinguishable from other contemporaneous red-on-brown types, except by provenance. Schist temper is diagnostic of all Hohokam Buff Ware except for Casa Grande red-on-buff, which has distinctive Hohokam paste and designs. Coconino Red-on-buff and Winona Red-on-buff have Hohokam designs, but lack schist temper and are geographically separate. Abbott, David. (2008) The Process, Location, and History of Hohokam Buff Ware Production: Some Experimental and Analytical Results. Journal of Archaeological Science 35(2):388-397. Heckman, Robert A., Barbara K. Montgomery, and Stephanie M. Whittlesey. (2000) Prehistoric Painted Pottery of Southeastern Arizona. Technical Series 77. Statistical Research, Inc. Tucson. Wallace, Henry D. (2004) Update to the Middle Gila Buff Ware Ceramic Sequence. In Hohokam Farming on the Salt River Flood-plain: Refining Models and Analytical Methods, edited by T. Kathleen Henderson, pp. 45-124. Anthropological Papers No. 43. Center for Desert Archaeology, Tucson.